Meet Ollie La Pook. Ollie is a beautiful black and silver prue breed german shephard doggie approximately five years young that need a home. Full of fun and life. Plays ball, fetches real well. loves to chase a squirrel if the opportunity presents its self. I never met a dog that will let you hug him for ever and never pull away. Ollie is a glue stick always by your side. Loves to be loved and give love. Extremely smart and sweet. He was someones good boy and is heartbroken not to be in a home. Not doing well in a kennel shelter enviornment. He misses his old family and needs to heal with his new family. 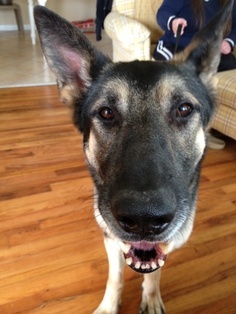 He is a fabulous dog for a active person with a lot of room and property for him to roam. Listen ladies if you want a loverboy mush pot plus a security guard this is your dog. Can’t say enough about what a exceptional find this dog is. Ollie is a wonderful dog that needs a experienced large breed handler. Ollie will truly be a loyal companion and the next or only love of your life. Perfect dog if you just lost your german shepherd because he is pure love, love, love. You both can heal. God bless you all and your pets. Remember adopt don’t shop.